Everyone has things that they are concerned about. For most people those fears center on health, finances, and uncertainty about the future. While it's unlikely you can completely eliminate worry from your life there are some things you can do to minimize it. 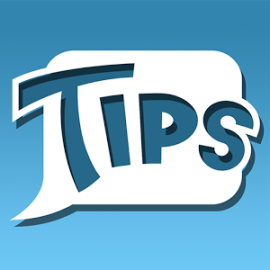 Today we'll have some tips on how to do that and how implementing Stockpile free smart inventory system can help. The best way to reduce your concern about something is to plan ahead. If you're worried about your health, eat right, exercise, and get annual checkups. To mitigate financial concerns stick to a budget and save part of your paycheck every month. It can be harder to plan for an unforeseeable future but devising some contingency plans can put you in a good position to deal with whatever may come your way. Having insurance, financial reserves, and a knowledge of who to contact in case of an emergency can really give you peace of mind. Even when you have a plan, it can be hard to remain calm in the face of a negative situation. Giving in to panic only adds to your stress and increases the likelihood that things are going to spiral downward. Take a deep breath and try to stay focused. Clear thinking will lead to better decisions and an overall more positive outcome. As the old saying goes, "The best defense is a good offense." Building a solid foundation can help you avoid a lot of potential problems. One of the best ways to do that is to implement technology, like Stockpile, that can help your business prepare. Inventory issues are one of the biggest day to day headaches that business owners face. Eliminating them with Stockpile free smart inventory system allows you to focus on other areas of your business and shore up your defenses. Adding item records is quick and easy and allows you to track items within a single location or across multiple ones. Thanks to areas and locations you can be very specific about where items are kept. Why waste time searching for inventory? You should always be able to locate any item in seconds. Running reports so that you have a complete picture of your inventory is simple as well. You don't even have to be in the office to see your inventory. Stockpile free smart inventory system is mobile compatible so you can check on things from anywhere you have internet access. 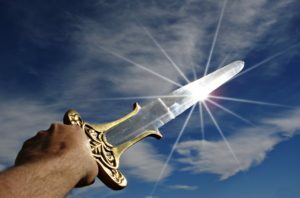 These are just a few tips to help you reduce your worry and feel more like a warrior. That confidence can have a huge impact on the success of your business. 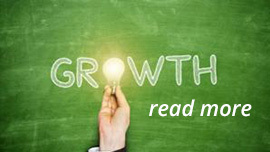 When you are less worried and more aggressive with your growth tactics you just may find your business expanding beyond your expectations. Don't worry. Stockpile free smart inventory system can grow with you. While our solution was designed for small businesses, it is fully scalable and able to adapt to your changing needs. Plus, we are always making improvements. What are you waiting for? 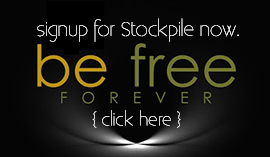 Try Stockpile today!